Pilgrimage to the Basilica of St. John Selçuk. Although Turkey is a predominantly Muslim population, his leading role in the beginnings of Christianity in these lands provide many points of great symbolism for Christians. A Selçuk, the Ephesus ancient, are the remains of the Basilica of San Juan, where was the tomb of the Apostle and Evangelist. This fact is exploited by the Diocese of Izmir to organize a pilgrimage every last Sunday in May. It is one of the few Catholic public events taking place outside the churches and where you can contact members of the small community. The Basilica of San Juan is in the center of Selçuk. When we arrived in town from the highway, see right Ayasuluk hill with a castle on top. At its side the remains of one are the most symbolic places for Christians. The Byzantine Basilica was built on the site of the tomb of the Apostle was. First Emperor Theodosius and two centuries later the Emperor Justinian wanted to give greater prominence to a particular sacred place. The Basilica of Justinian was a magnificent building in the shape of a Greek cross with five domes. In the place where the altar is the tomb was San Juan and was a place of pilgrimage for centuries. The pilgrimage is organized by the Diocese of Izmir every last Sunday of May and buses parishes offer the faithful to scroll Selçulk. In the Basilica of San Juan one Mass celebrated by the bishop to Catholics who also come from many other places in Turkey held. Although Izmir has four million, Christian community is so small that it is not a rally, which increases the feeling of attending a truly special celebration. Mass is celebrated in Italian, French, English and Turkish. Since that time in Izmir weather is sunny and, do not forget head garment and sunscreen because the basilica was destroyed by Tamerlane the Mongol army and act completely held outdoors. 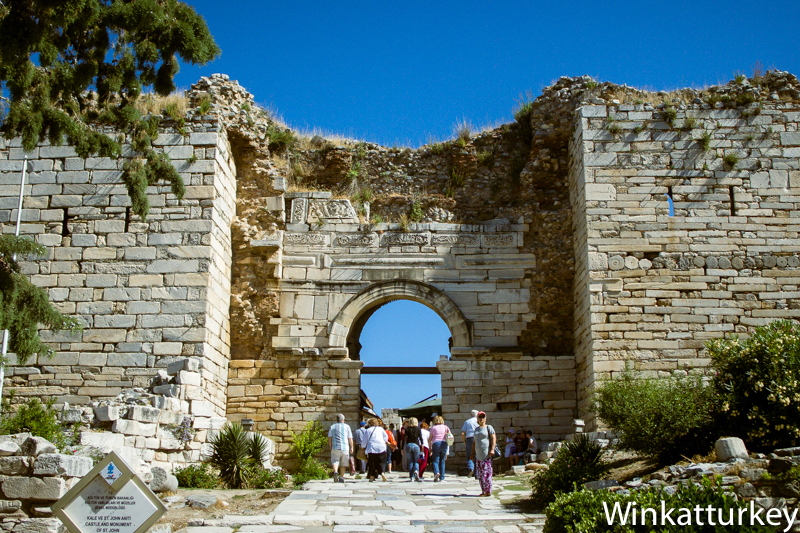 Christian heritage in Turkey is amazing, spectacular and often curiously unknown. For example, the Orthodox Patriarchate of Constantinople in Istanbul nobody visits despite being the focal point for Christian orthodoxy and to say that even I have to argue with people who do not believe me that Santa Claus (San Nicolas) and St George was Turkish. You're right, plus the Orthodox Patriarchate of Constantinople is not far from the mosques and places most visited and is very nice. To take advantage of the shift do not forget to approach the Bulgarian Orthodox Church of San Esteban a few 300 meters away. Certainly, added to the list for unbelievers to Santa Barbara, born on the shores of the Sea of ​​Marmara and the important San Gregorio, one of the fathers of the Church, born in Pontus.